In part 1 of this article series, we discussed the importance of having a Point of View (POV) as a journalist via the media of your blog. This is essential if you want to engage online readers and build a loyal audience of raving fans who are interested in what you are writing about, and are inspired to refer you, list with you, and buy from you. Your goal is to engage the attention of your target audience. Put yourself in the shoes of your audience. Think of all the online marketing that is vying for their attention. Your audience is actually voting with their attention. Why should they vote for you? People give their attention to people and things that resonates with their values and with their personality. That is why it is so important to have a distinct Point of View that amplifies your values and your personality. With a distinct POV that is clearly articulated your target audience will be able to discover that you are attention-worthy, faster. With all of the competition for attention, this is now an imperative. If you are a fan of seafood as we are, you have many choices as to where you buy your fish and shellfish. Every major supermarket chain has a seafood section and also sells frozen fish. Here in Santa Barbara, we are very fortunate to have local fisherman who sell their catch of the day at the harbor and also at our local Farmers Market (when conditions are favorable). 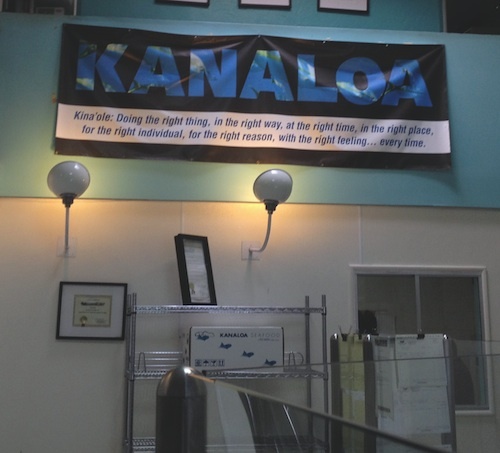 We also have a spectacular wholesale seafood distributor, Kanaloa, which sells local and imported seafood to restaurants and markets all over the country. Many luxury real estate marketing professionals and companies strive for excellence. But, few attain it consistently. Let Kanaloa be an inspiration to you. It certainly has inspired us.